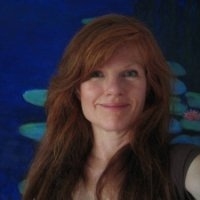 Rebecca Truman obtained her education from UCSB and Pasadena Art Center College of Design. She has created and sold monumental public and private art. However, it was a series of journeys crossing Greenland, and witnessing first-hand the rapid destruction of our ecosystems that led Rebecca to work on saving the planet. Re-educating herself on climate change topics, Rebecca is a co-founder, and manages the world logistics, administration and accounting at the Climate Foundation.. Her motivation: the Climate Foundation offers hope by creating solutions for the world.